An Ealing Trilogy was commissioned by the National Portrait Gallery and will be projected on a loop at Pitzhanger Manor from 4th - 18th Oct. Check for opening times here. 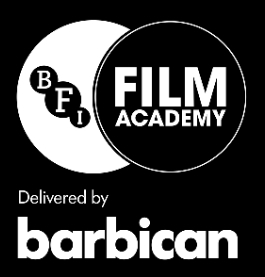 Eelyn Lee will be overseeing the delivery of the Barbican BFI Film Academy for the second year running. Eelyn has developed a creative approach to devising 90 second micro shorts with compelling narratives. Working alongside long-term collaborator, Winstan Whitter, Eelyn will guide students through a fast-track, hands-on introduction to filmmaking. If you are aged 15-19 and would like to take part in this 12-week course, apply through the Barbican's website to sign-up for the taster session on Sat 4th October. Artist filmmaker Eelyn Lee will be showing a new piece of moving image work at the National Portrait Gallery, London this summer. Commissioned by the gallery to work in collaboration with a group of young people from Brentisde High School, Eelyn ran a series of workshops over a four month period to develop content for this 7 minute single-screen projection. An Ealing Trilogy is a response to portraits of people in the gallery's collection who have links to the borough of Ealing, which include Charlie Chaplin, Freddie Mercury, Dusty Springfield, recent Oscar-winner, Steve McQueen and the man who invented ways to make mauve, William Perkin. Early on in the process, Eelyn identified three themes that seemed to sum up the achievements and characteristics of this group of 18 inpiring people. Endeavour, creativity and vision are explored in a trilogy of slow moving narrative portraits which reference constructed photography, allegorical painting and cinematic forms to create a powerful and engaging piece of work. An Ealing Trilogy can be seen alongside the collection of portraits from 20th June - 21st September. Eelyn will giving a talk about the display and her work at 19.30 on 20th June as part of Late Shift. More details here. In the lead up to the opening of the Creative Connections exhibition on 20th June, the National Portrait Gallery are running a weekly Instagram challenge inspired by portraits of people in the gallery who have links to the borough of Ealing. The idea came from Eelyn Lee's original proposal for her commission to create a piece of moving image work with year 10 students from Brentside High School. The first challenge [above] was created by Yousuf and inspired by William Perkin who invented the process for making the colour mauve using coal tar which was first produced in a factory in Greenford. Since October last year Eelyn has been running the BFI Film Academy at the Barbican Centre, training aspiring 16-19 year old filmmakers. The course has attracted some highly motivated and talented young people from across London. Eelyn has worked closely with the Creative Learning department at the Barbican to design an exciting, fast track introduction to the film production process. 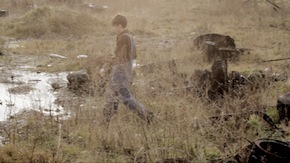 We have been looking at British films including Kes and The Third Man to inspire ideas for 90 second micro shorts. The four films written and produced by the students will be screened at the Barbican in March and submitted to film festivals internationally. Eelyn has been working alongside her long-term collaborators, cinematographer Winstan Whitter and editor Francis Morgan-Giles to deliver the programme. The Creative Connections display at the National Portrait Gallery, featuring new work by Eelyn Lee has been extended for a week. The last day to see, An Ealing Trilogy, an 8-minute projected film installation is Sunday 21st September. The display has proven very popular with visitors over the summer, with an estimated 30,000 people viewing the work since the opening on 20th June. Read a preview in the Guardian here. Whilst working on the Creative Connections commission at the National Portrait Gallery in collaboration with Brentside High School, artist Eelyn Lee was keen to include a portrait of someone with links to the school in the final display. With notable alumni from neighbouring schools already in the Collection, such as Peter Crouch and Steve McQueen there was an obvious gap to be filled. Brentside does have a significant former student, Paul Canoville the first black footballer to play for Chelsea in 1982. Canoville suffered a great deal of racism both on and off the pitch, and injury forced him in take early retirement. He has since written his autobiography Black and Blue and gives motivational talks to young people. 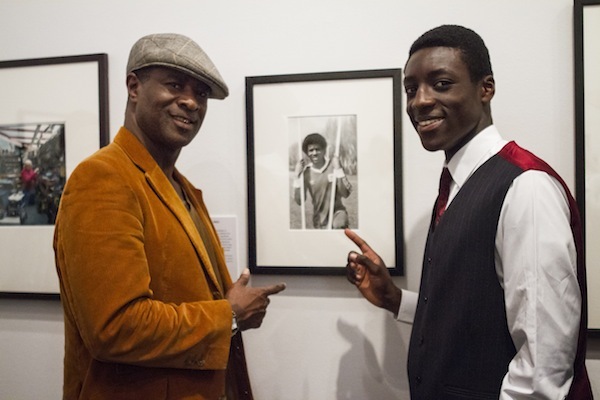 Eelyn is pleased to announce that a photographic portrait of Paul Canoville by Hugh Hastings was acquired especially for the display and his image now sits in the National Portrait Gallery's Collection as a just acknowledgement for his contributions to British life and culture. Eelyn has written a powerful piece about the significance of this acquisition in her guest blog for the National Portrait Gallery. Read it here. 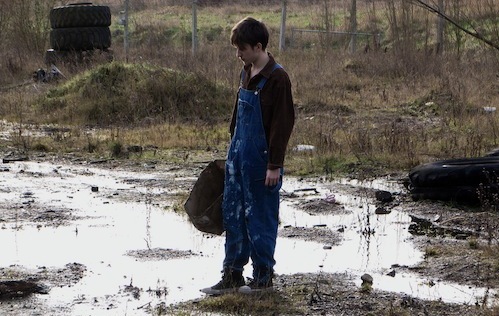 Four 90 second films made by students on this year's BFI Film Academy at the Barbican will be screening on Wed 21st May 5pm, Barbican Cinema 3. Eelyn Lee developed a fast track course for 18 aspiring young filmmakers, the level of which was very high. Eelyn set a challenge to re-create and then re-imagine a scene from two seminal British films, Kes and the Third Man. The results are four very different and imaginative takes on life and death including a sci fi, a black comedy, a monologue and an experimental art film. Artist Eelyn Lee and a group of students from Brentside High School in Ealing are to create a film installation inspired by famous figures from the local area to go on display in the National Portrait Gallery this summer. The Year 10 GCSE Art students are to work with artist filmmaker Eelyn Lee and National Portrait Gallery staff in a series of workshops that will explore portraits in the Gallery’s Collection of inspirational people from the young people’s local area. 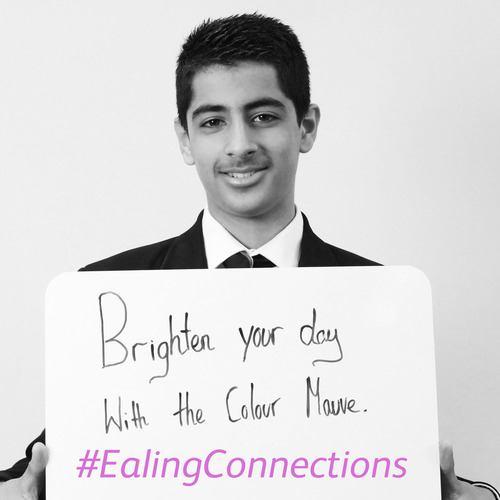 Through the workshops, the young people and Eelyn will research the lives and achievements of thirty influential figures, including Charlie Chaplin, Ada Lovelace and Gurinder Chadha, all of whom have links with the borough of Ealing as well as portraits in the National Portrait Gallery Collection. The finished film installation will be created by Eelyn and the students in response to the research, and will explore the themes of vision, creativity and endeavour. The film will go on public display alongside the portraits that inspired it for three months from June 2014. 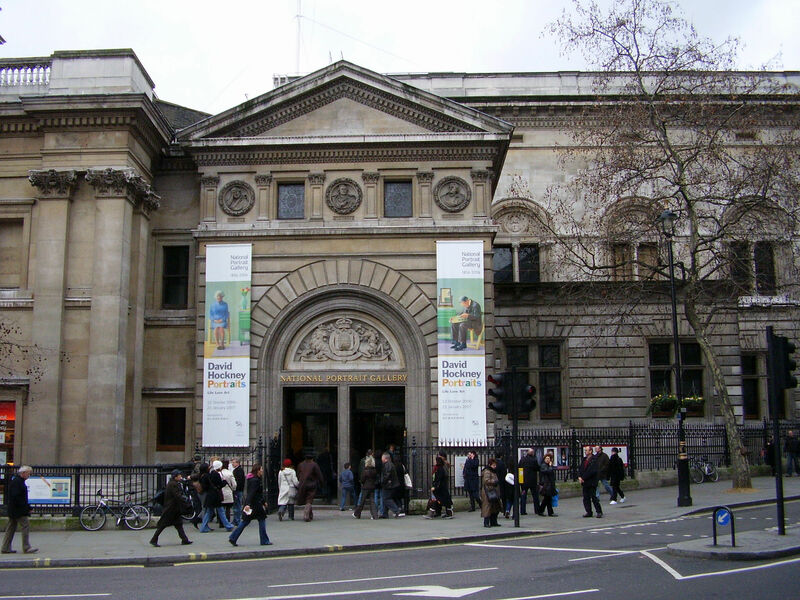 The initiative forms the second part of a four-year participatory arts project, Creative Connections, which is led by the National Portrait Gallery’s Learning department and is designed to extend the Gallery’s work engaging young people with portraiture. 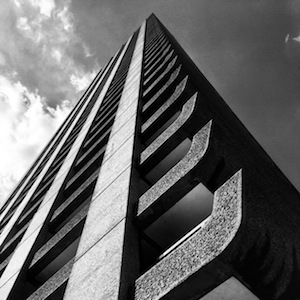 Eelyn Lee will be working with the Barbican Centre for the second year running in designing and delivering their Barbican Box for filmmaking. Inspired by the Barbican’s world class arts programme, the Barbican Box is, literally, a portable box filled with the ‘ingredients’ for making and creating either theatre or film. Created in collaboration with artists, the Boxes contain a range of stimuli designed to encourage an imaginative, adventurous approach to arts learning and are accompanied by a bespoke package of learning resources for each art form.